Don’t miss out on the Atascosa Family Crisis Center Rummage Sale this Saturday, Feb. 3. The event is set for 9 a.m.- 2 p.m. at 201 N. Main St. in Pleasanton (corner of Main and Hunt St., the old Crosspoint Fellowship). 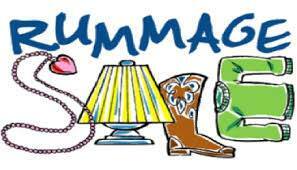 Stop by and see what great deals you can find on furniture, household items, clothing, office equipment and more. Funds raised will go towards helping AFCC clients. The AFCC also needs dependable volunteers willing to lend a hand. If you or a group are interested in helping, please contact Chelsea at the office at (830) 281-2001.